Welcome to the website of Lance Thurston, certified neuro-linguistic metaprogrammer, ordained psychic minister and founder of Psychic Psychology radio and tv shows. "I spent more than 50 years searching, reading, and experimenting on both psychic and psychological theories. I was looking to solve my own unhappiness. Nothing really worked for long. Too many psychological barriers to overcome. I then studied and became a good Psychic reader. I helped many, but not everyone. Then I studied Neuro-linguistic Programming (NLP) and for the first time had a consistent way to remove people's blocks to success. Over the course of 25 years I developed a super powerful yet simple system called "Psychic Psychology." Download self-help guided audios / mp3s! Creative Healing Energy Meditation mp3 Download! Click for info! mp3 Download! Click for info! for anyone interested in Lance's Guided Audio Sessions. FREE INFO mp3! "Just remember, we are all human beings. We all have essentially the same components. Therefore, what any person can do, so can you. If you try." 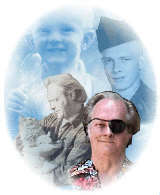 Certified Neuro-Linguistic Metaprogrammer, ordained Psychic Minister and founder of Psychic Psychology radio and tv shows.